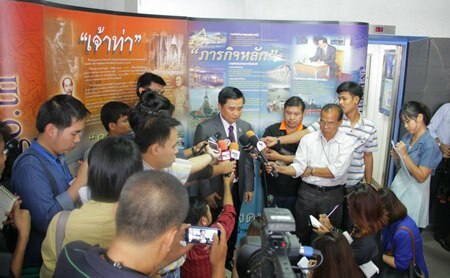 BANGKOK, 27 April 2015 – The Marine Department has expressed readiness to tackle illegal, unreported and unregulated (IUU) fishing activities in the country within six months. The Deputy Director of the Marine Department’s Security Division Nat Chubchai revealed after a meeting on IUU fishing that the department will tackle the problem on three fronts. He said the department will require roughly 2,070 boats weighing over 60 tons to install vessel monitoring system devices within three months. Furthermore, the department will require boats weighing over 30 tons to register their inbound and outbound trips, in order to prevent unauthorized fishing. To address the problem of illegal workers, the department will require all alien laborers to be documented and signed to an employment contract registered with the Marine Department. The department will also compile a new database of fishing boat crew members. Mr Nat said the timely execution of these measures would help demonstrate to the European Union Thailand’s commitment to addressing IUU fishing activities. Thailand recently received a yellow card from the EU for inadequate measures against IUU fishing within the Kingdom’s jurisdiction.